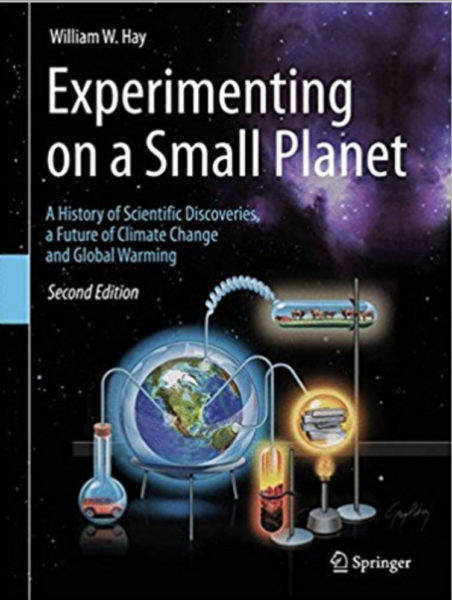 We highly recommend the book Experimenting on a Small Planet to anyone wanting to learn more about global warming. Even though the concept of climate science is relatively new, the science on which it is based is rock solid. This book explores how chemistry, physics, mathematics, geology, oceanography and many other areas of study have lead to our present day understanding of climate change. Slide show presentations (Powerpoint and Keynote) for each chapter are available at (Hightail link) or on the author’s Researchgate site.